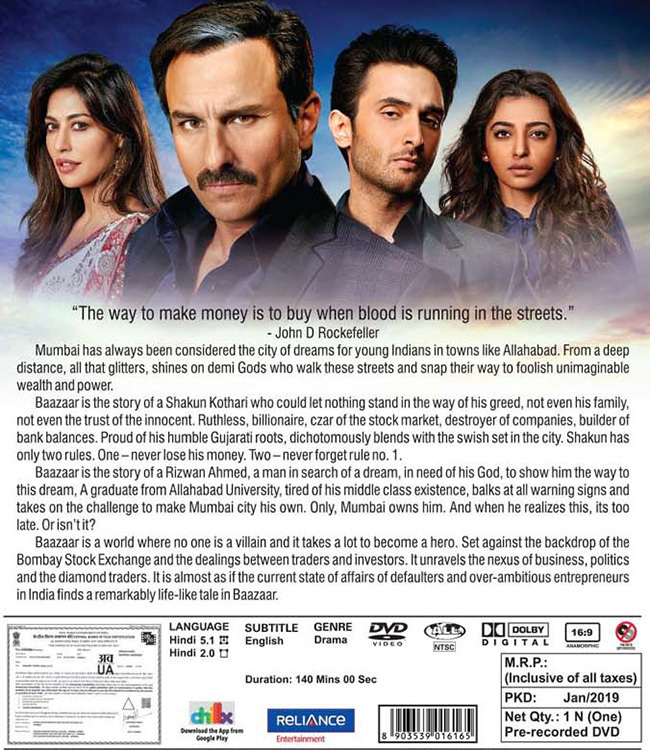 A small-town stock trader, Rizwan Ahmed, comes to Mumbai and gets employed by the successful Gujrati trader, Shakun Kothari. Everything seems to be going smooth until Rizwan hits a rough patch. 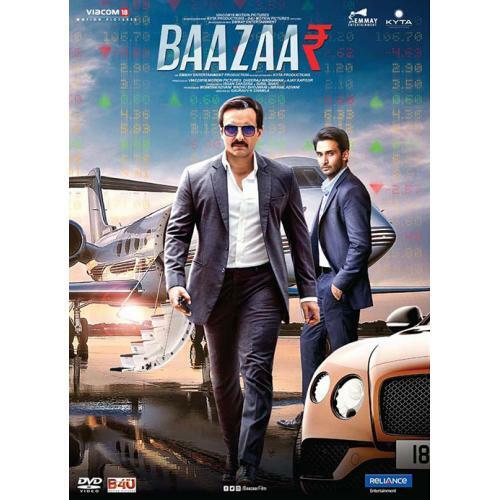 Baazaar hindi film is about Allahabad stock market trader Rizwan Ahmed arrives in Mumbai. He is very focused to work with his hero, Gujarati financial maven Shakun Kothari. Rizwan bluffs his way into the city's largest trading firm and manages to convince them to give him a job. He ropes in a high-profile client and with the help of his co-worker and girlfriend, he begins a successful career at the firm. When at a event with Priya, he spots Shakun Kothari and gives stock advice that turns out to be correct. Kothari then gives him a job as his broke, warning that he can never lose him any money. After his first trade with Kothari's funds goes bad, Rizwan is desperate not to lose Kothari's account and illegally uses insider information from Priya to recoup Kothari's losses. Rizwan gets very close to Kothari and his wife, visiting Kothari's lavish home and chilling on his yacht with Priya. Meanwhile, Kothari offers Rizwan a chance to make even more money when he learns that the government is going to begin accepting bids from telecommunications companies for a new project. Kothari reports Rizwan that he has been bribed a government minister to select a company called Skycom and the two can make a killing on the deal. Kothari gives Rizwan the money to buy Skycom and Rizwan becomes the owner of the company. He also convinces his new brother-in-law to invest all of his savings to Skycom shares.Skycom's bid is rejected, and Rizwan is ruined when Kothari sells off all of his Skycom shares right before the announcement of the bid winner. Rizwan found that Kothari deliberately set him up to take the fall for Skycom for Kothari's own personal monetary profit and that he arranged for Priya to influence him from the beginning. SEBI agents detain Rizwan for insider trading, but the real target is Kothari. Using information from Kothari's wife, Rizwan is able to prove that Kothari has been bribing government ministers. Shakun is arrested and his wife and kids leave him. After the numerous court hearings, Shakun is summoned as Priya gives in as witness to the bribes. Rizwan questions her that why did she surender herself since Rizwan did not reveal her name, she leaves Rizwan. Shakun comes out on bail after a month and returns to his empty house. He calls his secretary and tells him, that the "market" is open, returning to his deeds.